The Support Specialist course is unique in its focus on the critical areas of performance for senior members of the support team. Course modules focus on the key roles senior specialists play in delivering quality support, including mentoring, knowledge creation and management, understanding metrics and teamwork. And, since senior specialists also play a key role in escalation management, the course teaches negotiation, problem management and effective listening to ensure that these senior support professionals are properly equipped to manage escalations and assist other team members in managing their case backlogs. 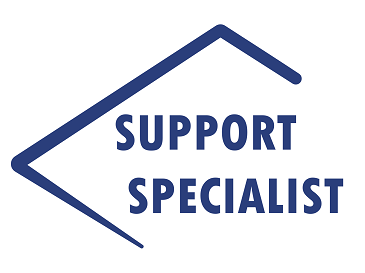 The two-day Support Specialist course is for experienced support professionals who require skills in problem resolution as well as in working with customers and the support team. This senior level support professional frequently functions in a team lead role. I thought the class was very well-paced and the style was very effective. Well-presented course and good materials. A good level of knowledge and well-paced. Good course and instructor. Not all topics are related to my job, but I enjoyed it. No suggestions for this course, it is excellent as it is. Thank you! Enjoyed a lot the training thanks to the instructor. This has been a good refresher course. there are many things I knew, but years of experience pushes them to a side. This course has revived it. Thanks. Fantastic course & presenter!!! I learned a lot! Isobel was a great instructor for the course and the material covered applies greatly to my role. The class has been very useful and I look forward to putting some of the methods learned into practice. Great examples, energetic & engaging. Really great course. Thank you. Great in a small group. Facilities are excellent. Very slick and smooth presentation. Flowed very well. It was a wonderful course, I liked it. The class is well designed and fits superbly with what I do. This reinforces my work environment. – The fact that it as a small class was very perfect. – If the class were bigger then it would make sense to expand the course to 3 days? Great course content, well presented at a great pace. Steve was very knowledgeable and enthusiastic about the content. thank you very much!! Engaging and enthusiastic. Open to discussion.